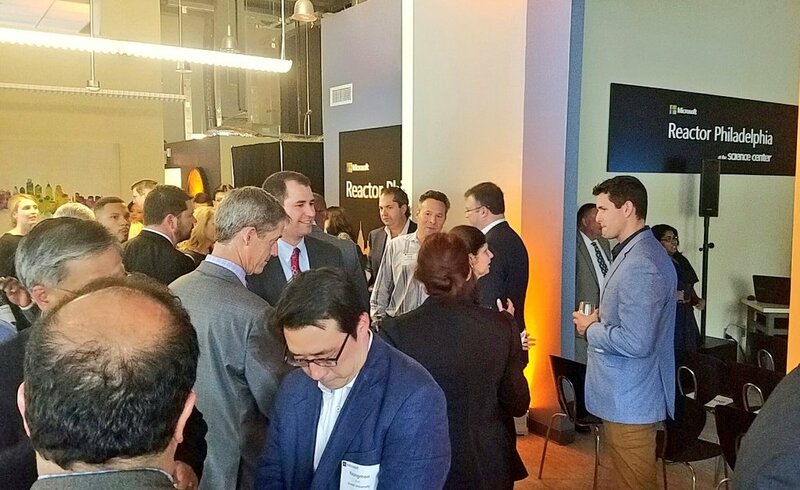 Microsoft’s Reactor at the University City Science Center is open for business, as we celebrated our grand opening yesterday evening. Technical.ly Philly did a great story on it, which you can find here. I’m still building out the Reactor website, which will soon have individual landing pages for each of our locations, in San Francisco, NYC, and now Philadelphia. For me personally, this is one of the most exciting things I’ve worked on yet. Growing up, technology and programming just weren’t readily accessible in my community, and what we ‘re doing here is an attempt to make technology accessible to everyone. Philadelphia’s deep-poverty rate is 12.2 percent, or nearly 185,000 people, including about 60,000 children. That’s almost twice the U.S. deep-poverty rate of 6.3 percent and rates highest among top 10 cities for deep poverty. We’re on the of west Philadelphia, where these statistics really hit hard. With this new space, which is open to everyone, children who don’t have computers, technical knowledge, or may not yet even realize they have a passion for technology can gather, make use of the resources, and have the same opportunities as everyone else. Our first Startup in Residence, Tiffanie Stanard and her company Stimulus will be working out of the Reactor, and were recently featured in a great piece at Philly Mag. If you are interested in getting involved, please reach out to me at MsftReactorPHL@microsoft.com.